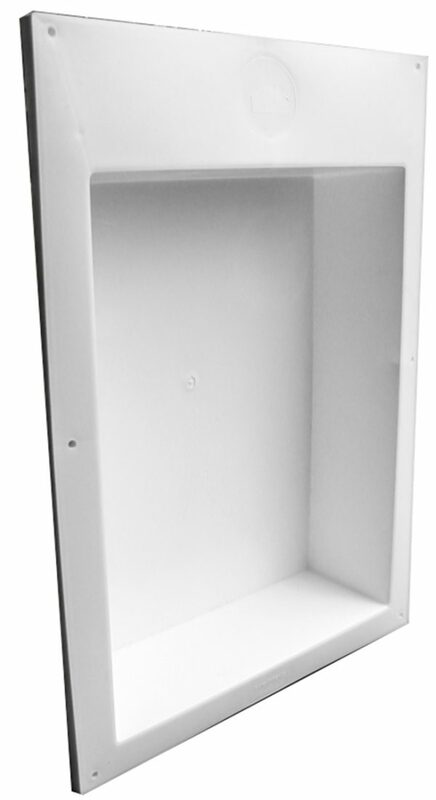 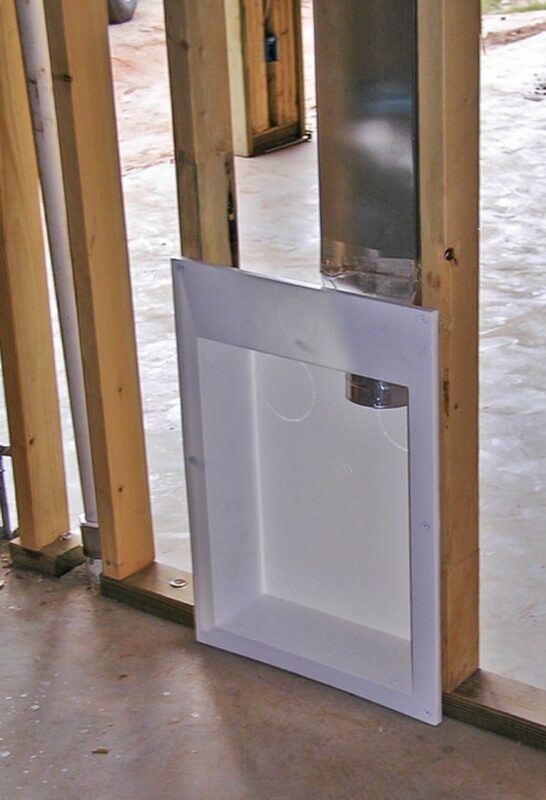 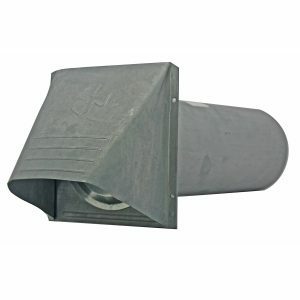 The Dryer Outlet Box is used to cleanly finish off dryer vent rough-ins. 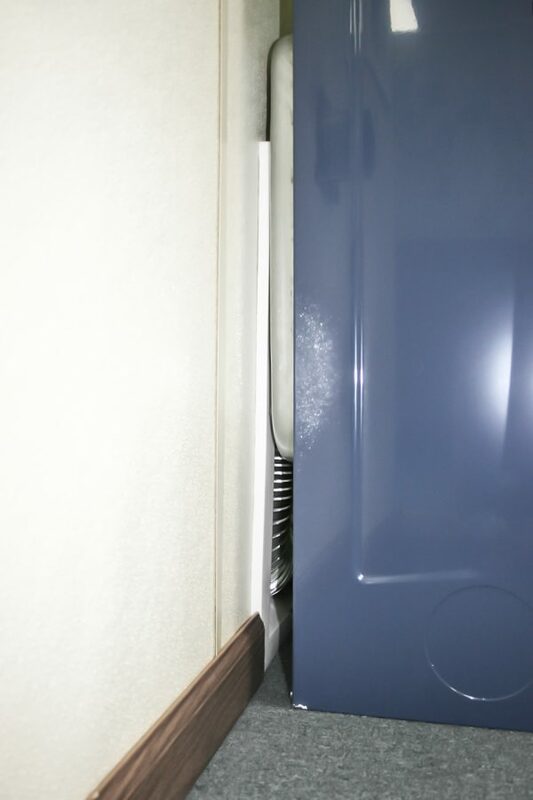 It solves tight dryer venting by recapturing the space in the wall behind the dryer. 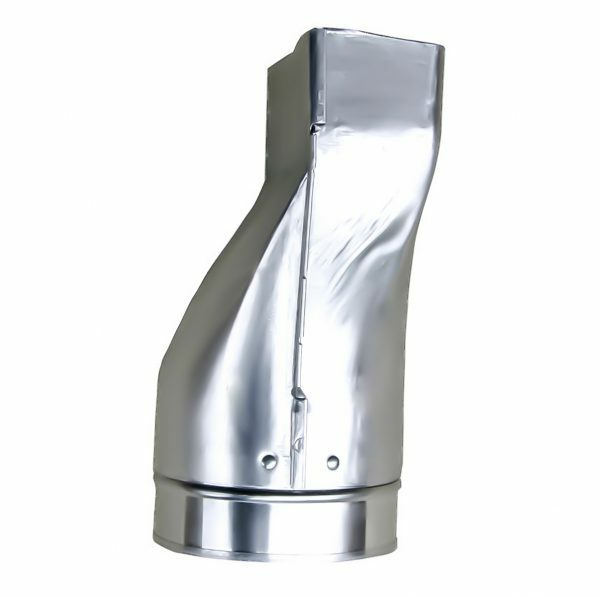 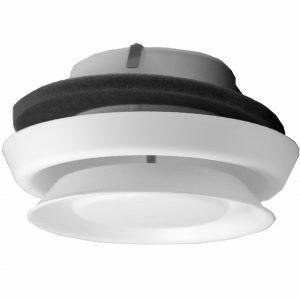 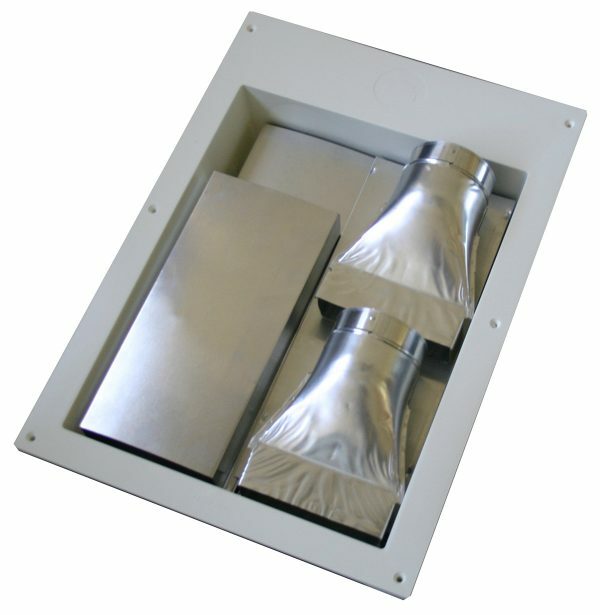 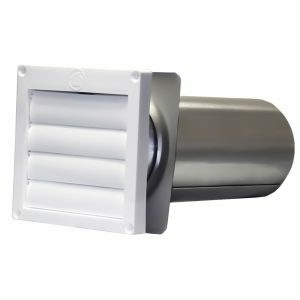 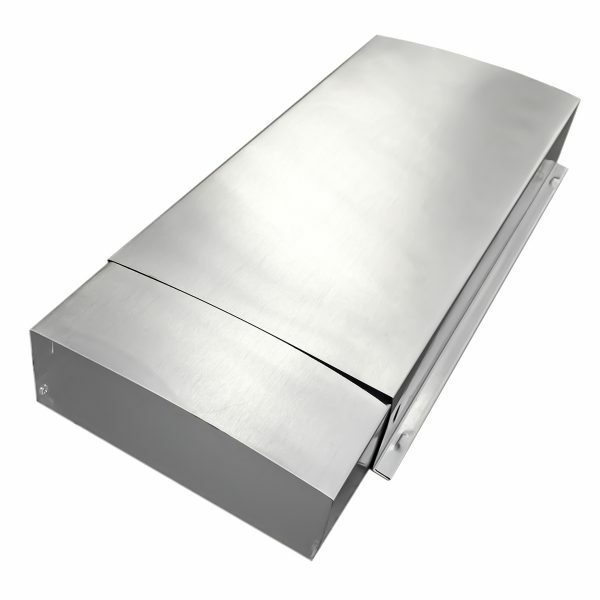 Advantages include standard 4″ round airflow connections to allow the best airflow and make connections easier.